Combat the winter heating blues with ThinkingFUEL! With the colder weather and longer nights upon us, the cost of heating oil is a big worry for many people who live in ‘off-gas’ areas, so a Norfolk charity is encouraging consumers to save money by joining a collective buying scheme. 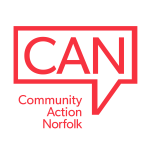 Norfolk’s Voluntary Sector leaders are expressing concern about the impact of Norfolk County Council’s proposals for severe cuts to services for people in need of housing support, and also plans to make significant cuts to advice provision.